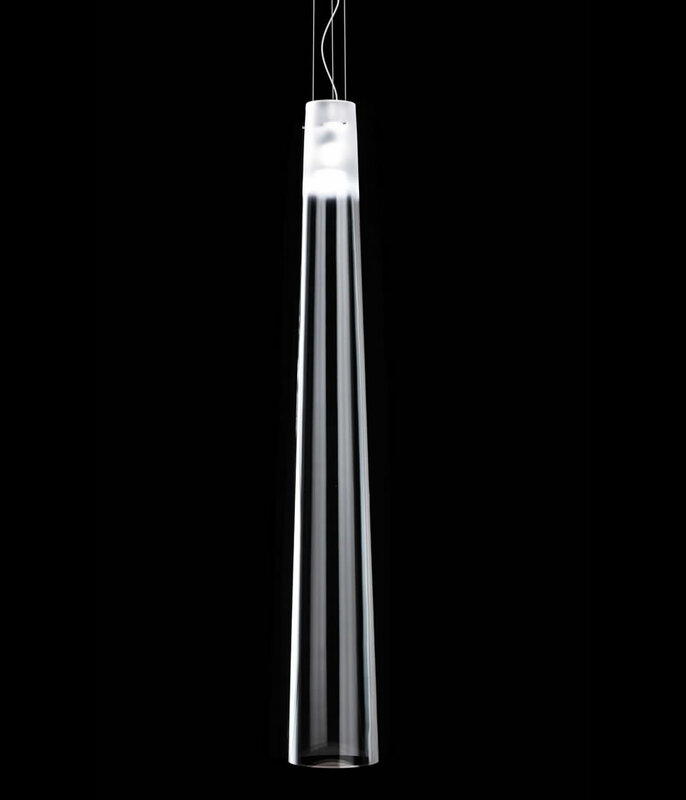 Raggio is a hand blown Murano glass cone pendant lamp of superior artistic value. 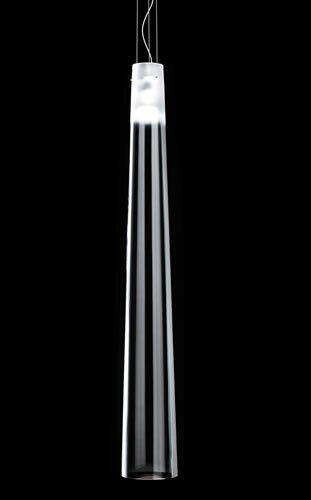 There are limitations to this glassmaking technique, as it is not possible to blow “mouth” glass cones above this dimension. Each lamp is signed by the master glassmaker that realized it.